I know, I know…another chalkboard? Yep, it’s a sickness. First, you will need a mirror. It can be a big one like this one that my friend gave me…it used to be attached to a dresser. 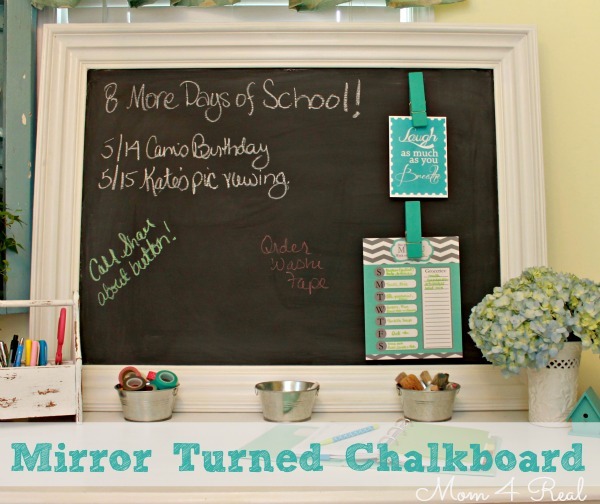 Or, you could go with a smaller mirror and make a cute chalkboard to display your family’s weekly menu on. Step 1 ~ Prime the entire mirror, frame and all. 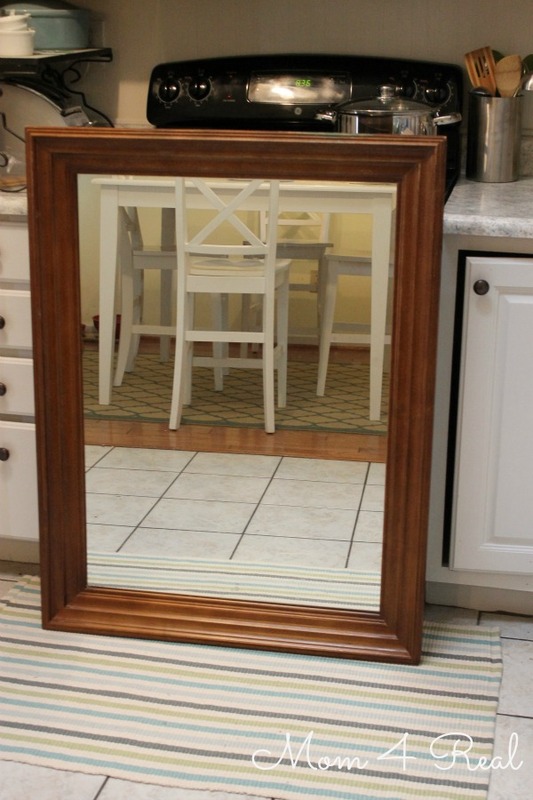 If you want to leave the frame unpainted, only prime the mirror. Next, paint the frame any color you like. 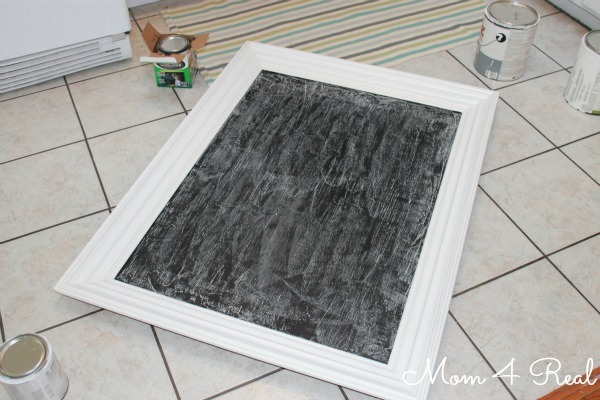 Then paint over the primed mirror with chalkboard paint. Give it 3 coats of chalkboard paint, making sure to let it dry completely between coats. 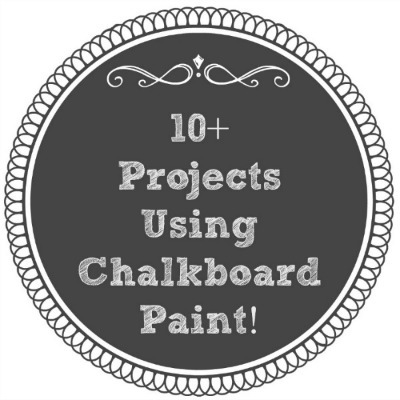 Let the chalkboard paint cure over night, then you’ll want to season your chalkboard. 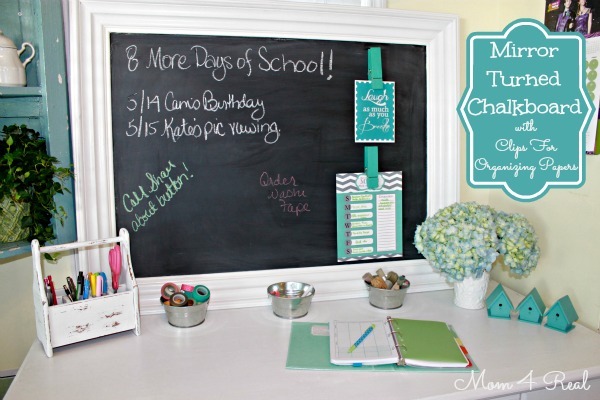 Just take a piece of chalk and rub it all over the chalkboard surface, then wipe clean with a dry rag. Tada! You now have your very own unique chalkboard! I hot glued two giant paper clips that I got in the dollar bins at Target to mine so I could clip our weekly menu and a sweet printable that I brought home from SNAP! Conference. Speaking of Snap Conference, I finally got to meet Jen from Tatertots and Jello at SNAP! I’ve been contributing for her since January, and was dying to meet her! 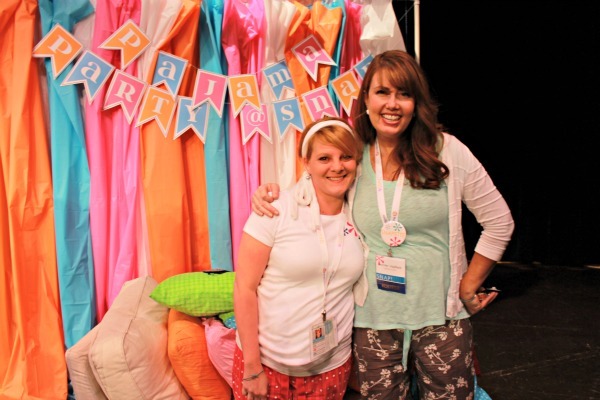 She is the sweetest lady, and put together the coolest crafting pajama party ever! « Fun Contest Coming…Simply The Best!!! Hope you can make it… if not this week I host every Sunday…Hope you can make it some time. Love it! I am seeing chalkboards coming in a close seconds to packaging/containers :) Now I am on the hunt for a giant mirror! How did you attach it to the desk? Pictures of that? Great idea! I have mine leaning against the wall. It’s very heavy, so I opted for leaning it against the wall. I have one that hangs in my foyer, you just have to use really strong drywall anchors or find a stud in the wall. Hope this helps! How about using an old flat-screen computer monitor (that you’ve kept for whatever reason) and turning it into a chalkboard? Would that work? There would be the added bonus of a built-in “easel,” and you could set it on a desk or a counter top. 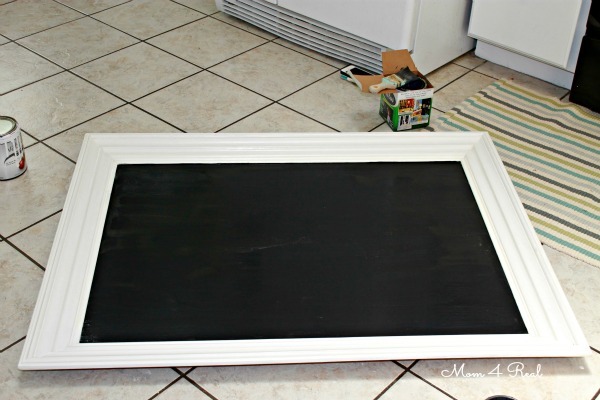 I would have never thought about painting over an old mirror with chalkboard paint … great thinking! 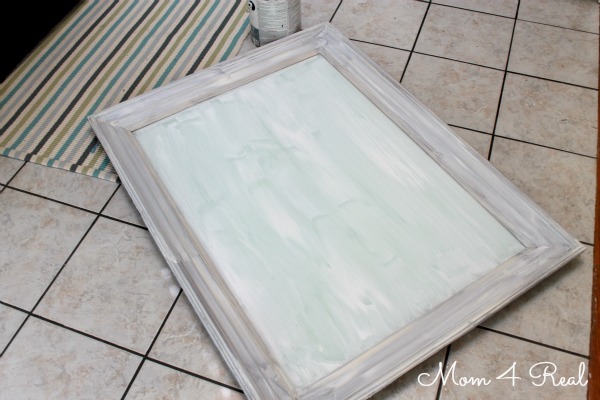 Same question…is there a specific primer you use…like the primer for your mirror project? Also…want to chalkboard paint the ‘foot’ of wineglasses….would lo e to use your formula for any color using latex paint….will that work on glass? I should prime that also, correct? Thanks…love your projects. Jess! This is soooo cute! And yes, I couldn’t agree more…it really is a sickness! Don’t worry though…I’ve caught the bug, too! :) Obviously! Luv ya! Jessica, I totally support you in your chalkboard sickness. ;) I love what you did using the jumbo Tar-jay clips and I wouldn’t have dawned on me to prime right on over a mirror! Love your chalkboard heaven. Ummm… you saw my office photo…. This might help wrangle some of it :) Great idea! Love it!! I was just working on a chalkboard for my boys room today!! You can never have too many by the way!